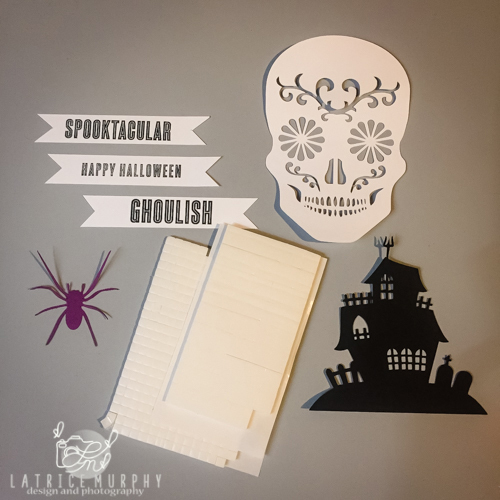 Home » Cards & Papercrafting » Halloween Trio: Day of The Dead, Haunted Mansion, and Spooky Spider! Halloween Trio: Day of The Dead, Haunted Mansion, and Spooky Spider! Welcome to Halloween card week! 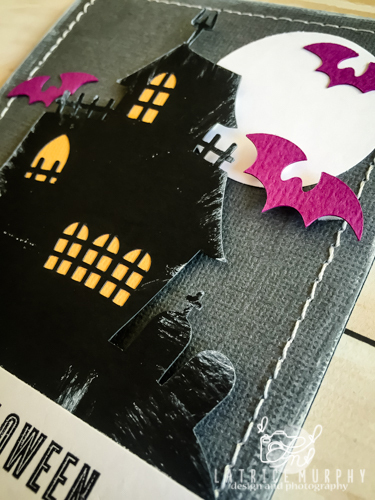 It’s been a fun filled week of Halloween Cards here on the Tombow Blog, Seriously getting me super excited for Halloween! Today I have a trio of cards for you. 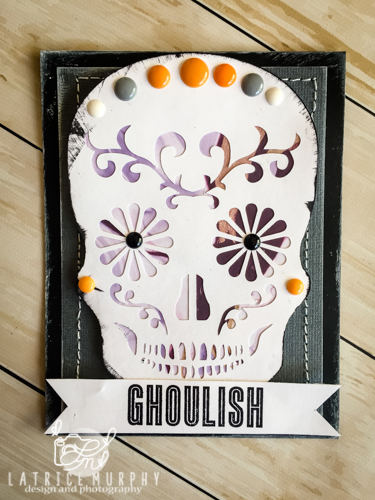 I created these different looks with simple die cuts and really added personality to them using Tombow adhesives. 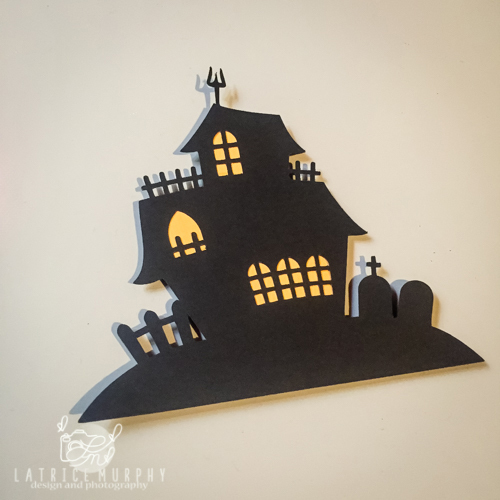 I started by die cutting some Halloween themed shapes. To make them stand out I used my Tombow Foam tabs. 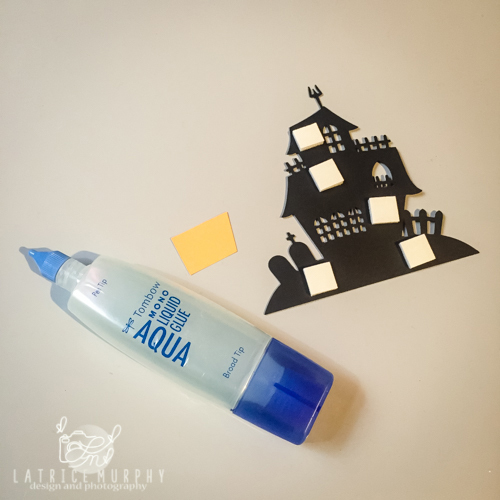 The Halloween Haunted Mansion needed something else, so I added some yellow cardstock behind the windows using the Tombow Aqua liquid glue. It really helped to make the haunted mansion come alive! 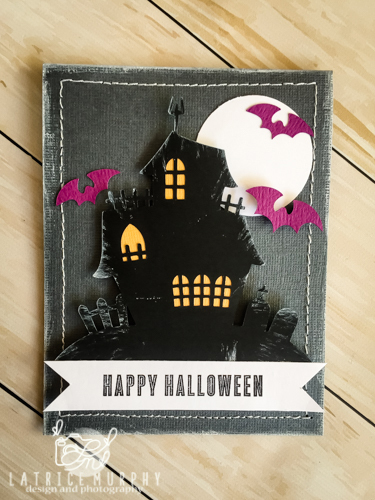 To finish up the Halloween Haunted Mansion Card, I punched out a white circle for a moon and some bats as well. 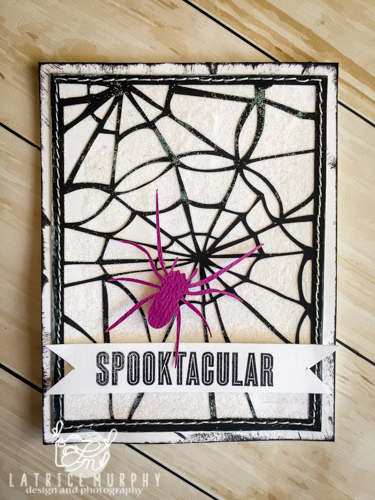 I rubbed ink around the edges of the card to make the night sky spooky and put a little bit of simple white stitching around the border! Next the sugar skull needed some additions to liven it up for the day of the dead theme I was going for. 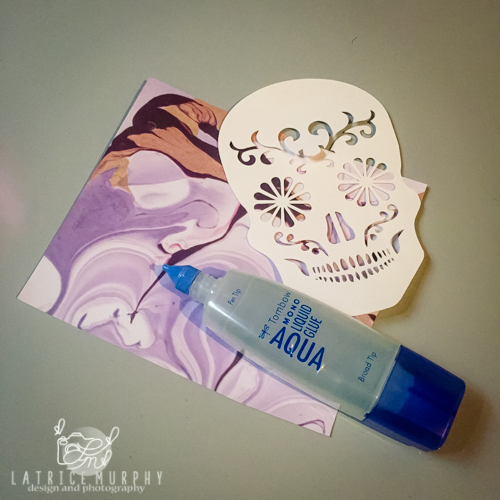 I found some fun purple patterned paper to adhere behind it using Tombow MONO Aqua Liquid Glue! 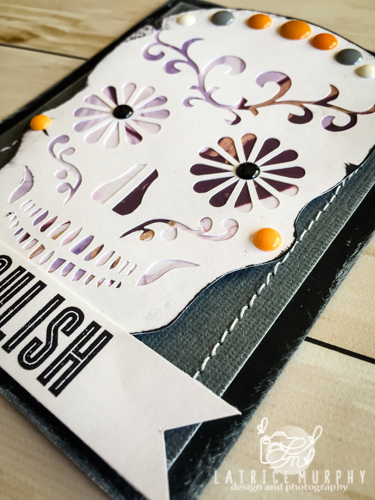 I added a few enamel dots and a simple sentiment to the Sugar Skull to tie in the Halloween theme. 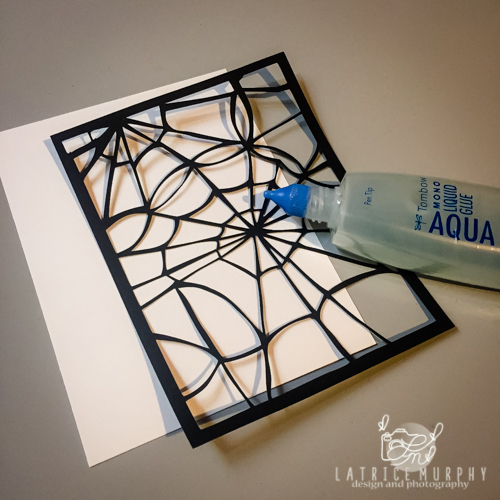 For the Spooky Spider Card, I first added the spider web to some white cardstock with Tombow MONO Aqua Liquid Glue. Next I trimmed out the web with simple white stitching and adhered to the front of the card. 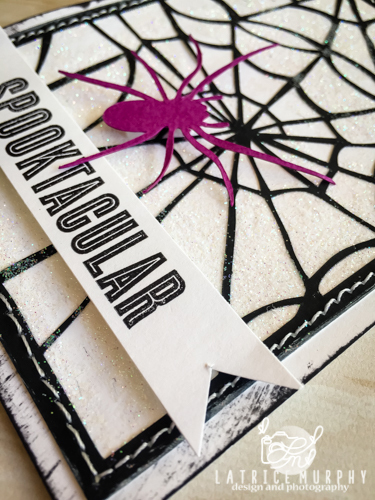 After adding the web with the Tombow Aqua liquid glue I sprinkled some glitter all over and added my spider and a spooktacular sentiment! 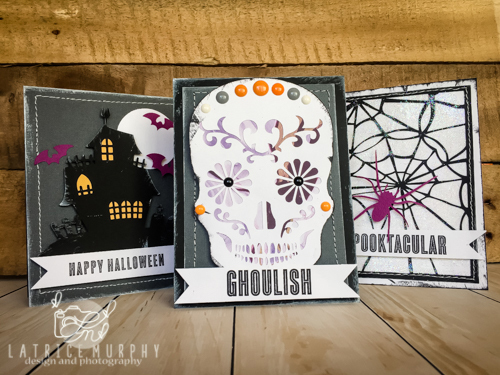 I seriously had fun creating these 3 different Halloween Card looks! Please make sure to head back to the earlier posts from this week and check them out! I Linked them below for you!